Keep one Keezel at home connected to your network and one with you whenever you’re on the road so you can pair them up and build your very own secured tunnel in no time. Maybe you’re on vacation and you want to access websites and services that are only available in your country, or perhaps even only with your home IP. Or your cable provider allows you to watch sports games, but only from your home WiFi. 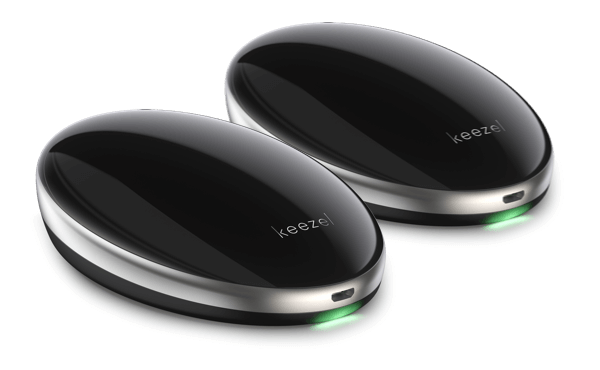 With Keezel to Keezel you can access your home WiFi from anywhere, thus watch sports games or TV-shows as if you were at home. Perhaps your kids want to watch their favourite TV-shows on vacation, but when you are abroad your online video on demand service may not have these in their own language. But if you use Keezel to Keezel, it will. Maybe you want to keep one Keezel at a friend’s place and use your home one to connect to that so you can access websites that are geo-blocked to his country. Maybe you’re travelling to a country where most of the internet is restricted and impossible to access with a local IP address. In all these situations, Keezel to Keezel is the way to go!